Income Opportunities - RV Rentals Dallas - Southwest RV Rentals - Luxury RV Rentals in Dallas - Ft. Worth with Unlimited Mileage! Southwest RV is an organization of dedicated professionals able convert privately owned RV's into rental income. RV’s are rented to guests to take family trips, corporate events, sports events and outings. Southwest RV has a centralized system and infrastructure in place to rent privately owned RV's currently in storage, sitting in driveways, or simply not being used- to quickly become a source of additional income. The largest supply of these ready types of vehicles resides not at the factories or sales lots, but with private individuals. 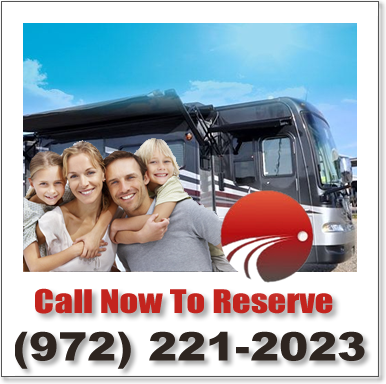 Southwest RV will register owners and their RV's into the rental system for immediate rentals. Maintenance. Why not put your RV to use, as regular maintenance is required whether it is being used or just sitting in storage. Having the RV in use keeps the mechanicals, plumbing, and electrical systems in top working order. Our schedule for maintenance keeps your RV in the best working order, ready for safe, care free trips. * Income is determined by the age, size, condition, and amenities of the vehicle. Ask us how to register your RV for potential rental use!